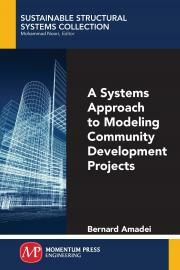 This book makes the case for a systems approach to small-scale community development projects. It specifically looks at the application of one branch of systems science, called system dynamics, to develop conceptual models of small-scale communities and address specific issues they might be facing at different scales. A systems approach recognizes that, by definition, communities are complex adaptive systems consisting of multiple subsystems and parts (e.g., individuals, institutions, and infrastructure) that are interconnected, driven by some purpose, follow certain rules, and interact with each other and with their surrounding environment. In order to address community issues and problems, complexity and uncertainty must be embraced and dealt with. The author demonstrates how to include a system- and complexity-aware approach in the different phases of small-scale community project management. Adopting this approach comes with unique challenges such as dealing with ill-defined problems, considering uncertainty, recognizing that no unique and best solutions to complex problems exist, and accepting satisficing solutions. The text details the need for community development practitioners to integrate in all stages of their projects: participation, systems thinking, continuous reflection-in-action, and a combination of critical and creative tools. Dr. Amadei is professor of civil engineering at the University of Colorado at Boulder. He holds the Mortenson Endowed Chair in Global Engineering and serves as a faculty co-director of the Mortenson Center in Engineering for Developing Communities. He is also the founding president of Engineers Without Borders - USA and the co-founder of the Engineers Without Borders- International network. Dr. Amadei is an elected member of the U.S. National Academy of Engineering and a Senior Ashoka Fellow.